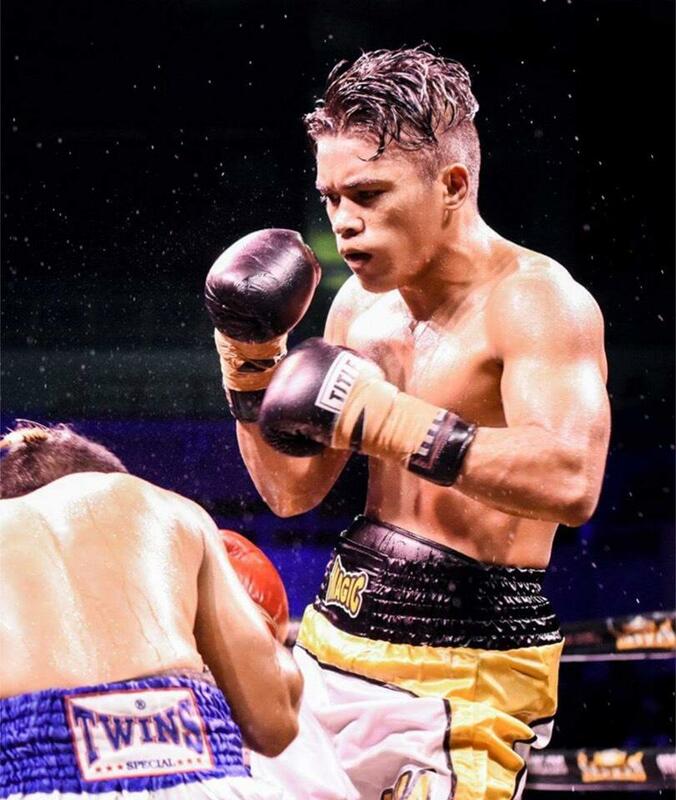 Press Release: February 24, 2018 By Sanman Promotions – Unbeaten "Magic” Mike Plania of the Philippines will make his debut in the United States on March 16 as he takes on WBO no. 2 Ranked and WBO Latino Bantamweight Champion Daniel “El Alacran” Lozano at the A La Carte Event Pavilion in Tampa, Florida. Plania is under Sanman Boxing and is now training in Miami, Florida under Cuban coach Moro Fernandez. He is still undefeated with 15 straight wins with seven knockouts. The 21-year old native of General Santos City previously stopped former Philippine Boxing Federation (PBF) Light Flyweight champion Jetly Purisima in the 5th round last February 26 at the Lagao Gym in Gensan. Lozano (15W-4L-0D, 11 KOs), on the other hand, won his last two assignments, which were both championship fights. He first scored a 2nd round knockout against David Carmona to capture the vacant WBO NABO Super Bantamweight title last July 28 at the Kissimmee Civic Center in Kissimmee. Lozano then won a unanimous decision against Ricardo Rodriguez (16W-4L-0D) in their battle for the vacant WBO Latino Bantamweight title October 13 at the A La Carte Event Pavilion. The 28-year old Mexican-American is also a former WBO Latino Super Flyweight and WBC USNBC Flyweight champion. I am ready to fight Lozano. I know he is a good and strong boxer,” said Plania. “But I like this kind of fight. I am confident with my skills and this is for my family,” added Plania. Sanman CEO Jim Claude Manangquil said that Plania has been training hard in Miami. “He will be 100 percent on the fight. It’s good that he had a tune-up fight last December in Mexico. So ring rust is not a problem,” said Mananquil. A regular feature here at The Boxing Truth® is to poll our readers with regard to issues, events, and upcoming bouts in the sport of Boxing. The month of March 2018 will be highlighted by two world championship fights for versions of the World Heavyweight championship that we will be covering as they draw near and take place. Our latest Reader Poll asks readers this question. Which of these two bouts are you most looking forward to? I’m not interested in either fight. Undefeated WBO Super-Middleweight world champion Gilberto Ramirez successfully defended his world championship for the third time by scoring an impressive sixth round stoppage over previously undefeated WBO number four rated WBO Super-Middleweight contender Habib Ahmed on Saturday night at the American Bank Center in Corpus Christi, TX. Ramirez, who came into the bout off of a twelve round unanimous decision over previously unbeaten top contender Jesse Hart in September of last year, systematically imposed his will on a very “Game”, but ultimately over matched Ahmed. Ramirez consistently forced Ahmed backward and implemented an attack to the challenger’s body and head. Despite being put under pressure from the outset, Ahmed was willing to engage with Ramirez in what was an entertaining bout to watch. Ramirez’ consistent pressure, attack, and naturally bigger size, however, was the story of the fight. Although he suffered a cut over his left eye in the third round as a result of an accidental clash of heads, Ramirez was not visibly bothered by the cut and by the late stages of round six Ahmed’s corner signaled to Referee Laurence Cole that they had seen enough prompting Cole to stop the fight. Official time of the stoppage was 2:31 of round six. Gilberto Ramirez advances to 37-0, with 25 Knockouts. Habib Ahmed falls to 22-1, with 17 Knockouts. It will be interesting to see who Ramirez fights next. One possible option would be for the champion to face current WBO number one rated contender Jesse Hart in a rematch. It is also possible that Ramirez, who expressed his wanting to unify the 168lb. Super-Middleweight division following his victory over Ahmed, will wait for the conclusion of the ongoing World Boxing Super Series Super-Middleweight tournament, which features a unification bout between WBA Super-Middleweight world champion George Groves and IBO Super-Middleweight world champion Chris Eubank Jr., which will take place on February 17th in Manchester, England. Now unbeaten in thirty-seven professional fights, Gilberto Ramirez has continued to make the best argument he can as he seeks now seeks to further unify the Super-Middleweight division and establish himself as the division’s number one fighter. Whether or not Ramirez will be the opponent of choice for the winner of the Super-Middleweight portion of the World Boxing Super Series tournament is a question that will be answered in time. In this observer’s view after three successful title defenses and scoring an impressive stoppage in this fight against Habib Ahmed, Ramirez’ first knockout win in nearly four years, unless the World Boxing Organization (WBO) mandates Ramirez to fight either Jesse Hart, who scored a first round knockout over Thomas Awimbono in a Light-Heavyweight bout on the undercard of Ramirez-Ahmed, or another top contender Gilberto Ramirez has earned the opportunity to attempt to unify his crown against one of the division’s other world champions. We will have to simply wait and see what options may be available to Ramirez coming out of this fight. The month of January is not always thought of as an active month for the sport of Boxing in terms of competition. Of course, as is the case throughout a calendar year in the sport, there are notable things that do take place during the first month of the year both in and out of the ring. 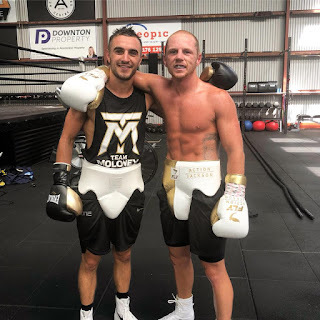 Before discussing what has gone on inside the ring, what has taken place outside the ring deserves equal attention as some developments did take shape over the last couple of weeks that will no doubt keep anticipation at a high among Boxing fans and experts as some intriguing bouts were announced that will take place in the coming months. As readers might recall in this observer’s “Boxing Wishlist For 2018” that was published here on the website earlier in January, I discussed the possibility of further unification of the Heavyweight division during the year. While I still have doubts as to the chances of determining one Undisputed world champion in the division before the end of 2018, two World Heavyweight championship fights have been signed that will take place in the month of March, which could very well lead to a battle for the Undisputed World Heavyweight championship taking place in the not too distant future. Undefeated WBC Heavyweight world champion Deontay Wilder will make the seventh defense of his crown against undefeated WBC number three rated Heavyweight contender Luis Ortiz on March 3rd at the Barclays Center in Brooklyn, NY. The second World Heavyweight championship bout to take place in the month of March will further unify the division as undefeated unified IBF/WBA/IBO world champion Anthony Joshua will face undefeated WBO champion Joseph Parker on March 31st at Principality Stadium in Cardiff, Wales. Although I look forward to providing further insight as these two World Heavyweight championship bouts draw closer, the Boxing world has not been as close to an undisputed world champion in the Heavyweight division as it is currently in many years. It is important to keep in mind that anything can happen, but it would be a shame if something that would be a mark of great progress for the sport overall such as one Heavyweight world champion being determined were stalled or ultimately done away with after so much progress toward a goal that will benefit Boxing in the long-term has been made. In terms of action inside the ring, the month of January saw several key bouts in Boxing’s Welterweight and Lightweight divisions. In the 147lb. Welterweight division undefeated IBF Welterweight world champion Errol Spence scored an eighth round technical knockout over former Jr. Welterweight world champion Lamont Peterson on January 20th at the Barclays Center in Brooklyn, NY. Spence controlled the action throughout scoring a knockdown of Peterson in the fifth round and ultimately was able to earn the stoppage win in the eighth round when Peterson’s trainer Barry Hunter stopped the bout to prevent his fighter from sustaining further punishment. In a career that has thus far been highlighted by impressive performances, Spence’s victory in this fight over Lamont Peterson was certainly the type of performance that will give him a strong case in the eyes of some as being considered the top Welterweight currently in the division. As is almost always the case however, the 147lb. Welterweight division is traditionally a talent deep weight class and opinion as to who is the division’s top fighter is always a topic that is up for debate. 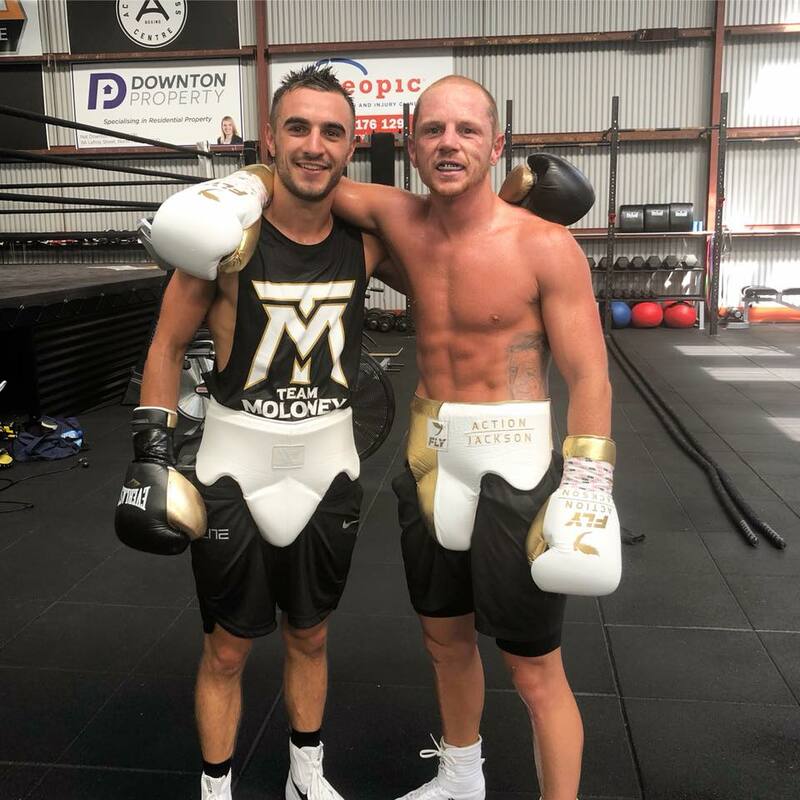 Two fighters who are attempting to work their way into the discussion/debates of the top Welterweights both returned to the ring on January 27th in separate venues. At The Forum in Inglewood, CA, longtime Jr. Welterweight and Welterweight contender Lucas Matthysse scored an impressive eighth round knockout over previously undefeated contender Tewa Kiram of Thailand. Mattysse overcame a cut over the left eye to score two knockdowns of Kiram in the eighth round to earn the victory. The win for the popular Argentine contender Matthysse was his second victory as a Welterweight since returning to the ring in May of last year following a near two year layoff. Matthysse also earned interim/regular champion status in the World Boxing Association’s (WBA) Welterweight ratings with his victory over Kiram and would appear to be in a good position to challenge for a world championship possibly against undefeated WBA/WBC world champion Keith Thurman at some point in the future. A fighter whom Matthysse gave all he could handle back in November 2010, who is also trying to work his way back into world championship contention is former two-division world champion Zab Judah. Judah, who is himself in the midst of a comeback saw action that evening at the Grey Eagle Resort and Casino in Calgary, Alberta, Canada as he faced veteran contender Noel Rincon. For the forty-year old Judah the ten round bout with Rincon was his second bout following a four year layoff after losing a twelve round unanimous decision to two-division world champion Paul Malignaggi in December 2013. Judah returned to the ring in January 2017 scoring a second round knockout over Jorge Munguia in Trenton, NJ. The former Jr. Welterweight and Welterweight world champion Judah out boxed Rincon over ten rounds to score a convincing ten round unanimous decision. Judah showed flashes of the hand speed and elusiveness that made him among the best pound for pound fighters in the world throughout his career in this fight. Although some may question what Judah has left at this stage in his career, this observer believes he needs to stay as active as possible and if he can continue to impress in subsequent fights Judah could find himself back in contention. A possible rematch between Matthysse and Judah could be a viable option for both men particularly if Matthysse will not be competing for a world championship in the near future and one could argue that both fighters are at a similar stage in their respective careers, despite Matthysse now holding what in reality is a number one contender’s position in the WBA’s Welterweight ratings. Two World Lightweight championship bouts took place during the month of January. In the first bout, Which took place on January 20th at the Barclays Center in Brooklyn, NY undefeated IBF Lightweight world champion Robert Easter Jr. successfully made the third defense of his crown by scoring a hard fought twelve round split decision over top contender Javier Fortuna. The main story of this bout in my eyes was the fact that Fortuna weighed in for the bout nearly two pounds over the 135lb. Lightweight limit. Despite this, Fortuna gave Easter all he could handle in what was a close and competitive fight. Three-division world champion Jorge Linares meanwhile successfully made the third defense of his WBA Lightweight world championship on January 27th at The Forum in Inglewood, CA by scoring a lopsided twelve round unanimous decision over Mercito Gesta. Although I am not one who likes to necessarily compare performances of world champions in the same weight class who compete in separate bouts in a relatively short period of time, as I watched these two bouts thoughts of a potential showdown between Linares and Easter naturally came to mind. Even though Robert Easter Jr. had a hard fought battle in his bout with Javier Fortuna, he has been a rising star in the sport over the last couple of years and as is often the case when a star is on the rise, an encounter with an established star/world champion seems like a natural. A bout between Linares and Easter would be a classic experience versus youth scenario and beyond it being an encounter between two world-class boxers it would be a step toward unification of the Lightweight division, which as unification has taken place in Boxing’s other weight classes it has proven to be beneficial for the sport in the long-term picture. 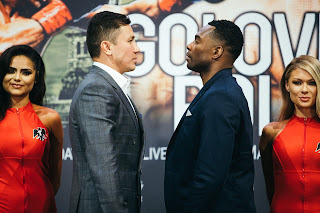 Whether or not the bouts that are scheduled to take place in the months ahead or the potential fights that I have mentioned in this column prove to be beneficial for Boxing on either a short or long-term basis remains to be seen. If the month of January has been an indication as to what is to come in 2018, it will surely be an entertaining and active year for both Boxing fans and experts alike.